Mornings during the week are pretty hectic in our house. I leave about one hour before Hubs and usually set out the kids' clothes and pack Kenzie's backpack. Mason will sometimes wake up right before I leave so I'll get him dressed and prepare something for him to eat. However, since Hubs is usually scrambling to get himself ready for work after his 2+ hour workouts in the morning, breakfast has to be quick. 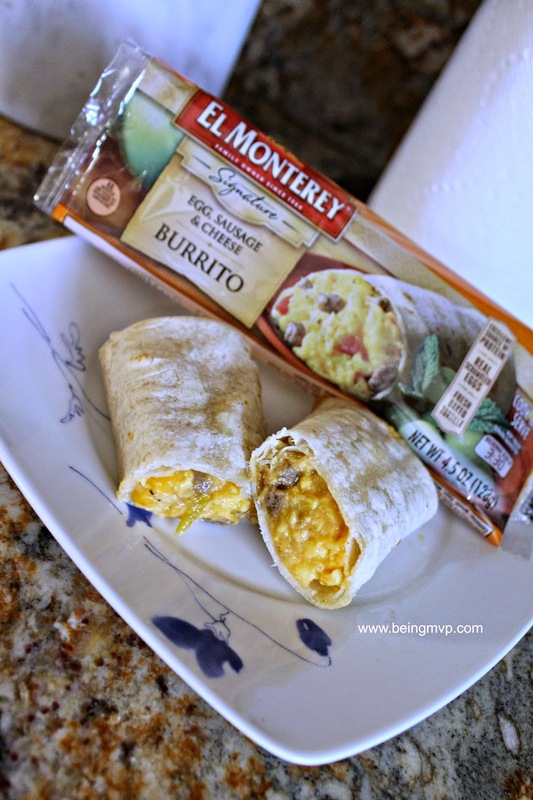 I've found a quick and easy breakfast burrito that are great for the kids while getting ready or even on-the-go. The line of El Monterey Signature breakfast burritos are packed with real ingredients such as scrambled eggs (Kenzie's favorite! ), cheddar cheese and sausage wrapped in a fresh-baked flour tortilla. I love that they are individually wrapped for ease. Just open up one side to vent and toss in the microwave for about 1.5 minutes then let sit for 2 minutes. They are the perfect size for my kids and I'm so happy to send them off to school with full, happy bellies. Since I don't have the time to make them a full breakfast on weekday mornings, these breakfast burritos are just the perfect alternative to sugar laden donuts and/or cereal. Happy kids = happy mom. Plus since these are made in a flash, there is an extra 5-10 minutes for me to play trains or princesses with my kids before I head out for my hour long commute. I also like keeping a box in the freezer at work when I don't have time for breakfast myself. If you only knew how many people at my work forego breakfast due to lack of time....They are conveniently available in a variety of sizes including single-serve, 4-count and 12-count. Give your kids (and yourself) a satisfying start to each day with El Monterey breakfast burritos! They can be found in the freezer aisles at major retailers nationwide including Walmart, Kroger, Hy-Vee, Meijer and many more. What do you usually have for breakfast? 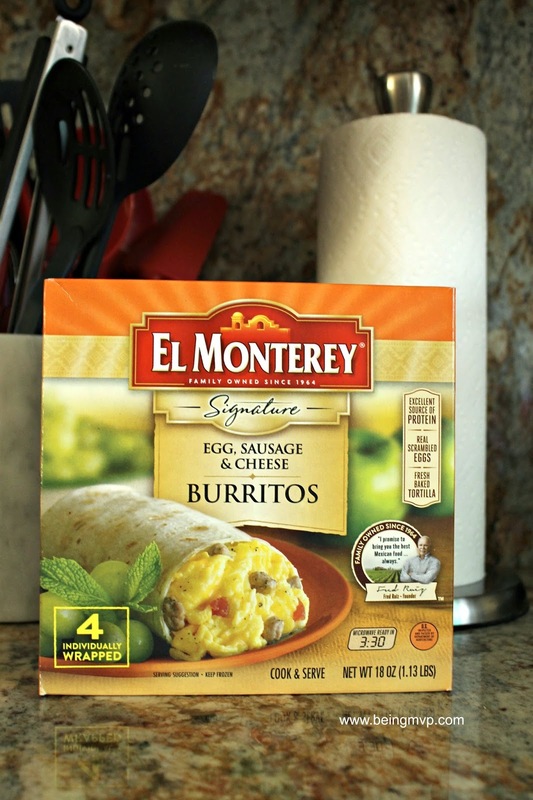 Have you tried the El Monterey breakfast burritos? I've never heard of these. Thank you for sharing. I think that my husband would really like this. These look quite good. I especially think that my middle son would love these. These burritos look really good! I'd love to try them!